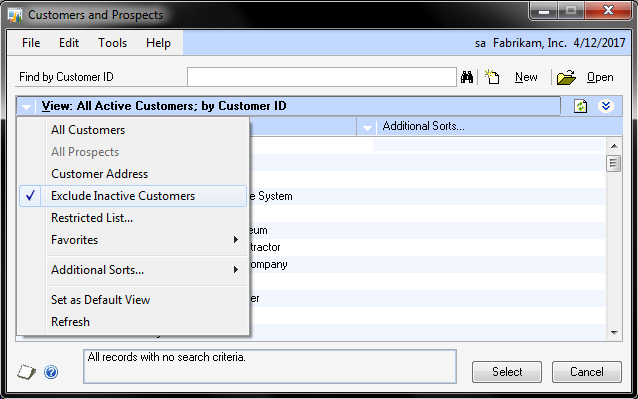 This is very simple yet important feature that’s been added to GP 2010 Customers & Prospects Lookup. I remember I have done this filtering using VBA code to one of my customers, an year back. And needless to say, my work got appreciated as none of the other approach they tried worked with a better performance. Now this feature comes out of the box and I am sure a massive list of Customers would be happy with this.